We perform Traditional Wedding Vows as well as the Nontraditional Wedding Vows. What are Traditional Wedding Vows? It’s the one that you see in every movie- -“Do you —- take this man,—-, to be your lawful wedded wife, to have and to hold?” etc. 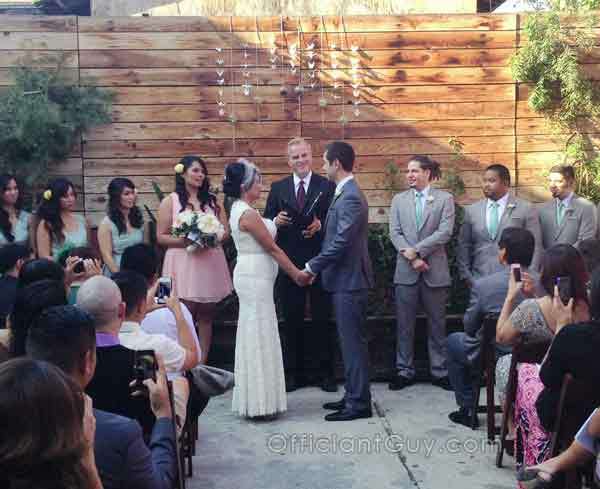 Los Angeles officiants who can officiate your wedding ceremony with any wedding vows that you choose. We have two traditional wedding vow ceremonies for you to choose from, one that is short and sweet and one longer version that we can provide for you. Of course, you can choose to locate a different traditional wedding ceremony than the one that we have. 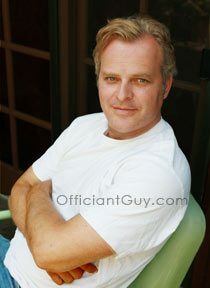 Officiant Guy will perform any version or variation of the traditional vow that you want. Wedding vows, are the part of the wedding ceremony where the officiant asks you to repeat after him, “With this ring, I thee wed… .” There are many versions from many types of religions. We recommend that you go to this link to either look up your own religious beliefs or nonreligious beliefs and either choose the vows that apply to you, or create your own using ideas from these traditional wedding vows. It’s a new world , and a unique relationship that you two have, so it doesn’t have to be a traditional vow, but vows the way that you want, that fits your relationship. When you book your wedding with the Officiant Guy, we can send you a link to our various wedding vows that we have collected, and you can choose from traditional vows to anything more creative. We even have many lovely wedding poems or additions that you can add to personalize your wedding. We will gladly perform the type of wedding ceremony that fits you. We are wedding officiants and ministers who respect your individual needs. If you and your fiancé should like to have a wedding ceremony somewhere in Southern California, contact the very best celebrant. Chris Robinson has been a wedding officiant for many years. 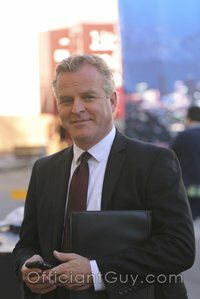 He has helped couples world wide, and has gained the faith of numerous couples as he is actually a marriage-license-issuing notary, in addition to a great guy, and a California attorney. Reach Chris now to perform your nuptials and provide your marriage license at (310) 882-5039 or (562) 547-3255 or fill out the contact form here.